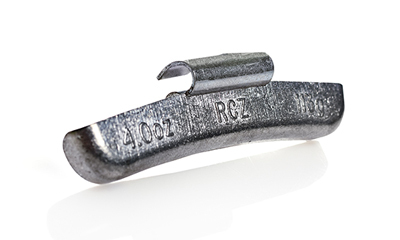 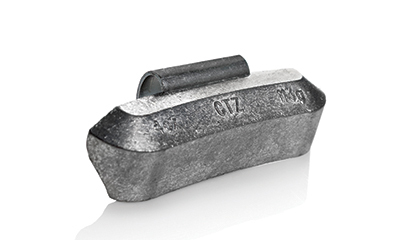 Enjoy the benefits and comfort of balancing your heavy-duty truck wheels by using our lead or zinc truck wheel weights. 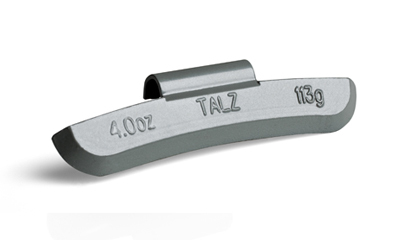 The use of these products reduces maintenance costs and prolongs the life of your tires. 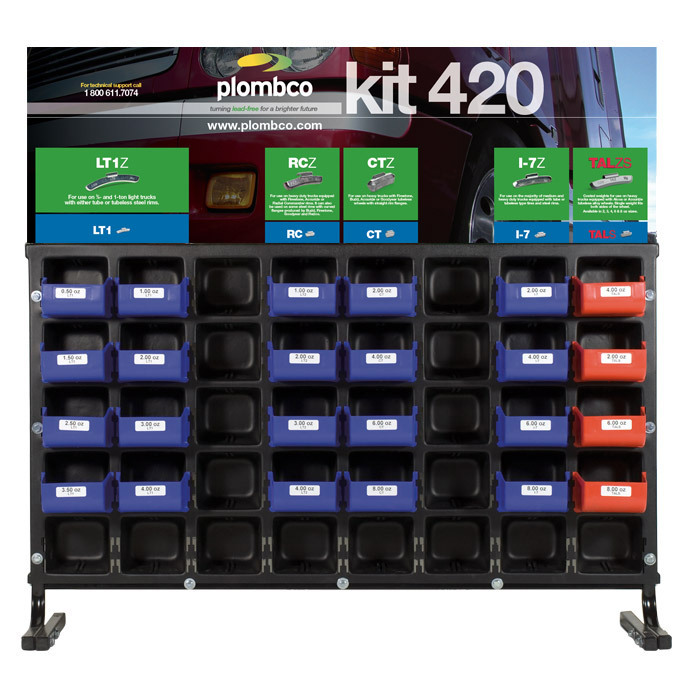 The universal color code is used on all labels, kits, application charts and gauges. 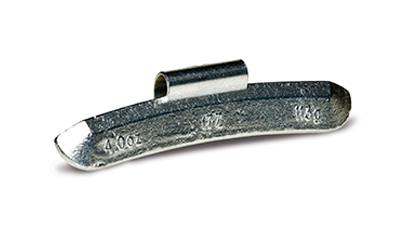 You may refer to our application chart or rim gauge to select the right style of passenger car wheel weight that fits your application. 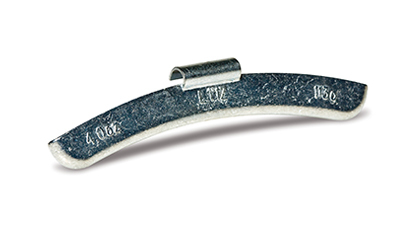 Plombco is the only manufacturer in the world to propose four different materials. 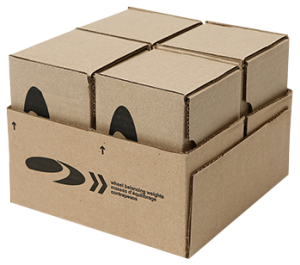 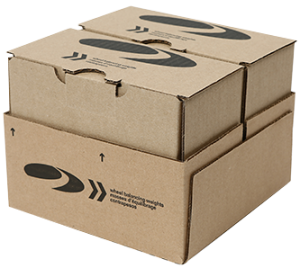 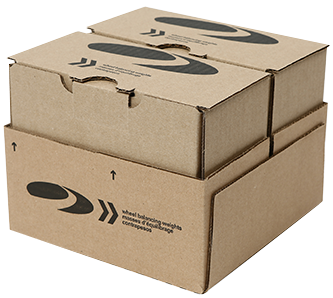 Our unique and practical packaging is made of high-quality corrugated cardboard and can help you save space in your warehouse. 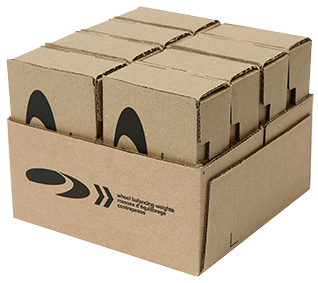 Each case is designed to ship two, four or eight boxes of wheel weights. In addition, our adhesive roll boxes have a plastic brake newly designed. 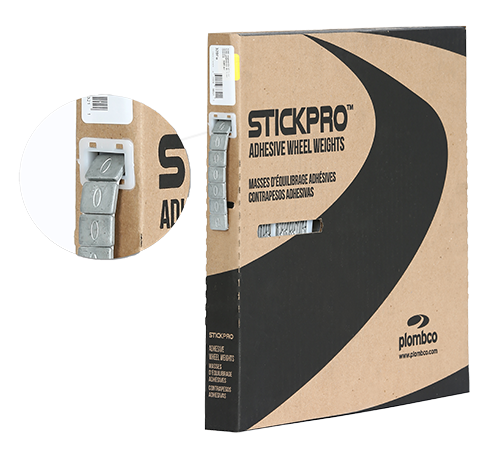 This feature prevents the wheel weight segments from retracting back into the box, when only a few segments are out of the opening. 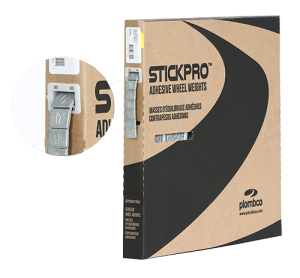 Use our assortment kits to improve technicians’ productivity and reduce customer returns due to improper uses.